The same Smith & Wesson quality you depend on for guns and ammo comes through in this watch. The sleek-looking Black watch is loaded with features to keep you on time, you can count on it! Smith Wesson Quartz Tactical Watch, Black is rated 3.9 out of 5 by 12. Rated 3 out of 5 by Mobilizer from Accurate time The watch itself is sturdy, cannot say the same for the band. It separated after the the 3rd time i wore it. Rated 5 out of 5 by Rusty from Great Watch Just what I was looking for. Rated 1 out of 5 by willieboy from Price is great if it was as advertised I have had this watch for three weeks and did not find the date window until I received this review request. It is so small you need magnification to find it. The color and illumination of hands is so bad you can't make the time out without using a flash light. The thickness of the watch makes it impossible to button the sleeve on a long sleeve shirt. Rated 5 out of 5 by dragon from solid...heavy...wrist-watch This watch is solid, easy to wear (for me) because of the hook-and-loop band, and suitable for telling the time in good lighting. The date window is going to be pretty-much useless for most eyes, as it is so small. They could have left that out. Some will find the watch too bulky. 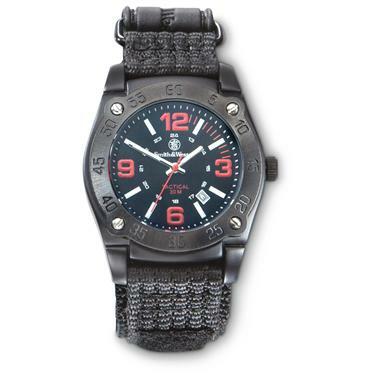 Anybody who has been in an actual tactical situation will likely agree that the "tactical" in the description of this item is purely a sales device to excuse the bulk of the case.None of the criticism is a reason to not have this watch. It's a good buy and should last quite a while. 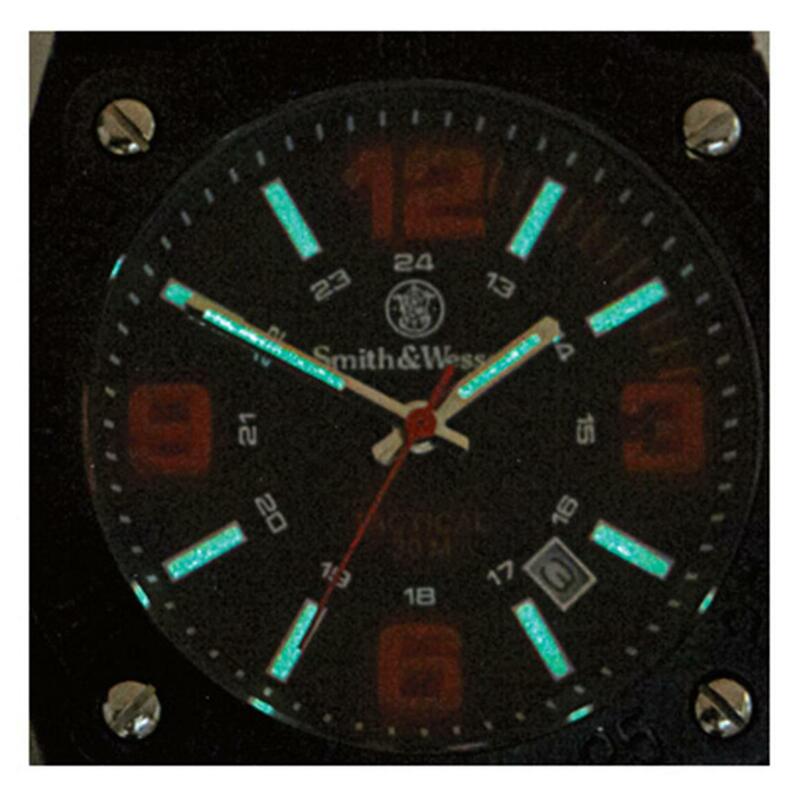 Rated 3 out of 5 by Winger from Nice watch , good price , get what you pay for. Nice looking watch, however within 6 hrs after placing it on my wrist the pin that holds the watch to the band broke . Rated 4 out of 5 by Hardway Bob from Great watch at a great price! This is a great watch and a wonderful price. It is very comfortable. I only wish that the dial was easier to see in the dark. Rated 5 out of 5 by Henry from Great Watch and Price Too! Keeps great time. wears well and best of all it is very user friendly to my aging old eyes.